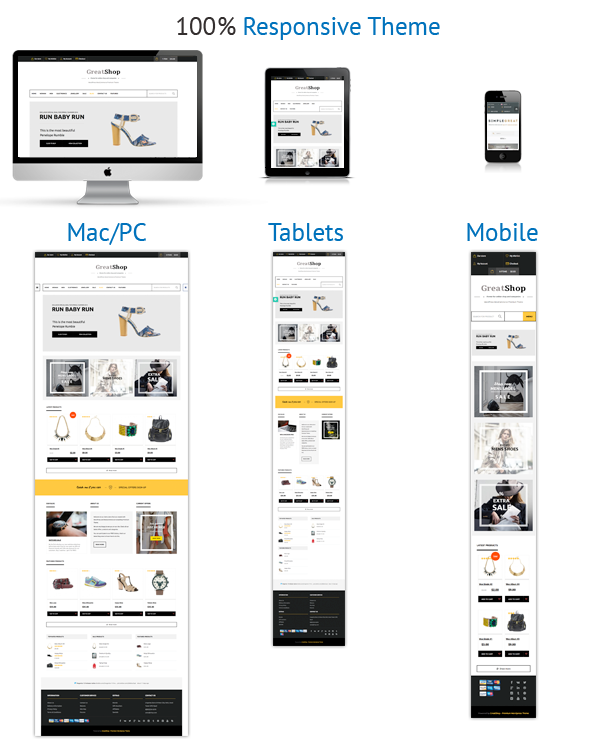 GreatShop – Premium Responsive WordPress WooCommerce theme with Powerful Control Panel and Unlimited colors! 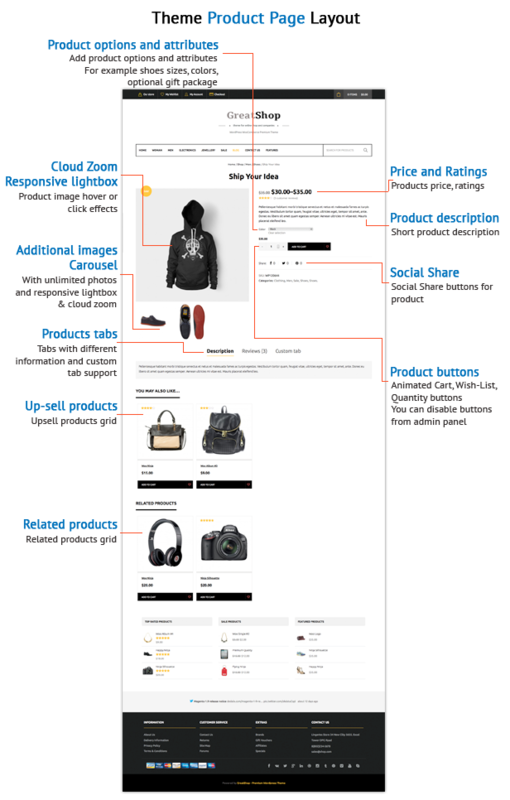 GreatShop is a universal flat multipurpose 100% responsive WordPress WooCommerce theme based on Bootstrap 3, that suitable for any kind of shop with modern design, built-in Revolution slider (19$ value! 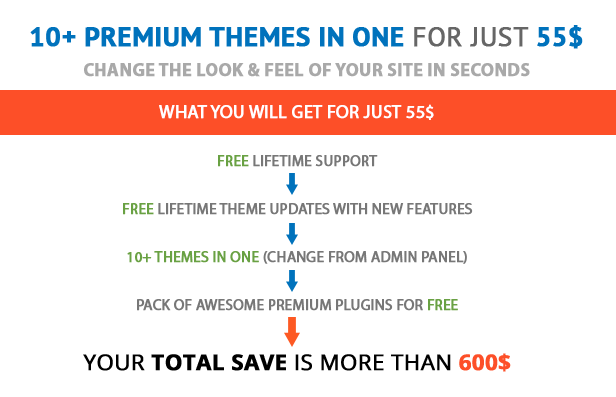 ), 14 Premium Plugins (for FREE!) and powerful backend control panel. 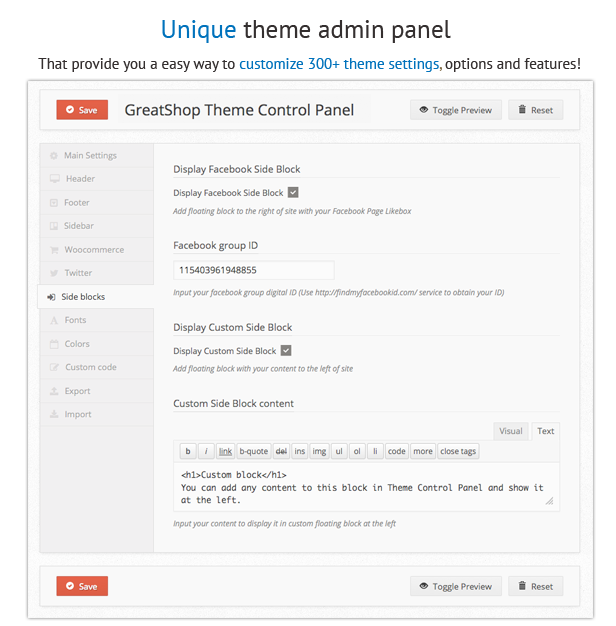 Admin panel with easy navigation and dozens of configuration options allows you to change every thing in theme. 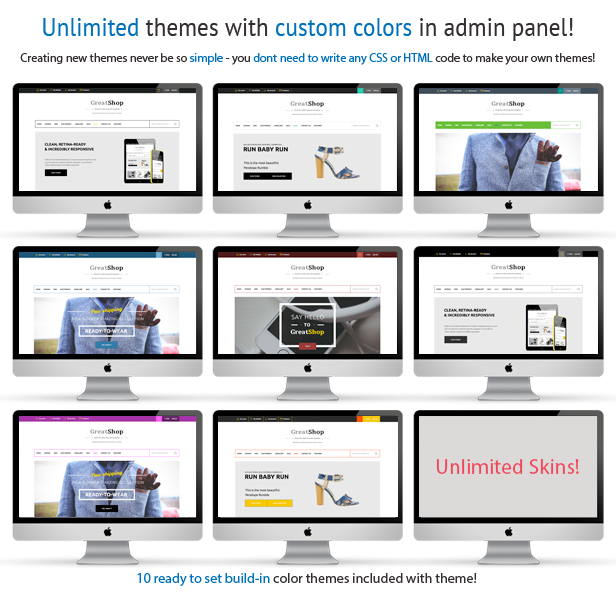 You can manage colors of all theme elements (10 built it skins included, Unlimited you can create), select 500+ amazing fonts and setup different theme settings and effects! 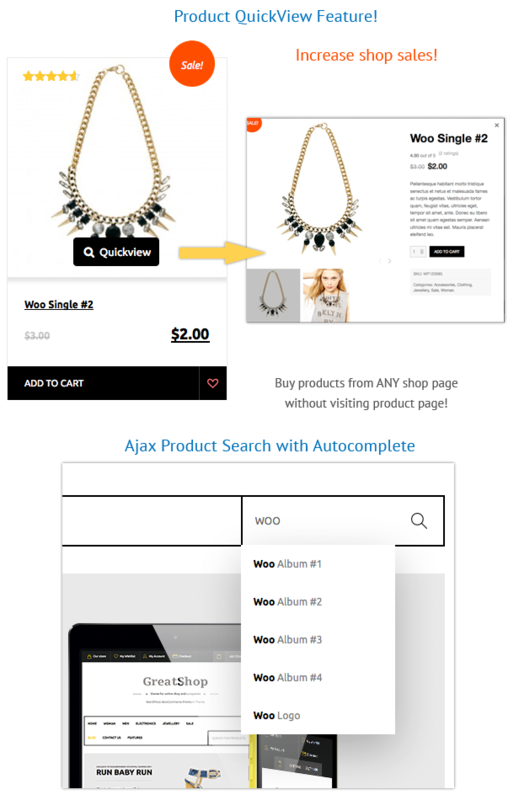 We added all premium WooCommerce plugins that will increase your shop sales – Ajax Add to cart, Ajax Product Search with autocomplete, Ajax Products WishList, Ajax Quick View for products. 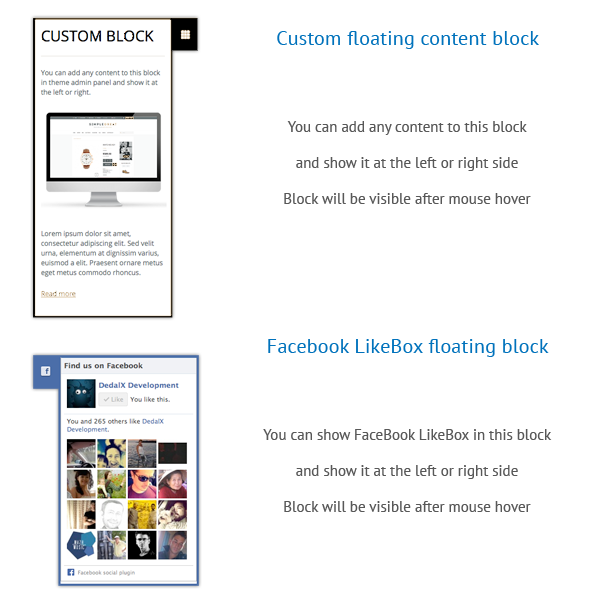 Visual Page Builder Backend demonstration – included with theme for FREE! 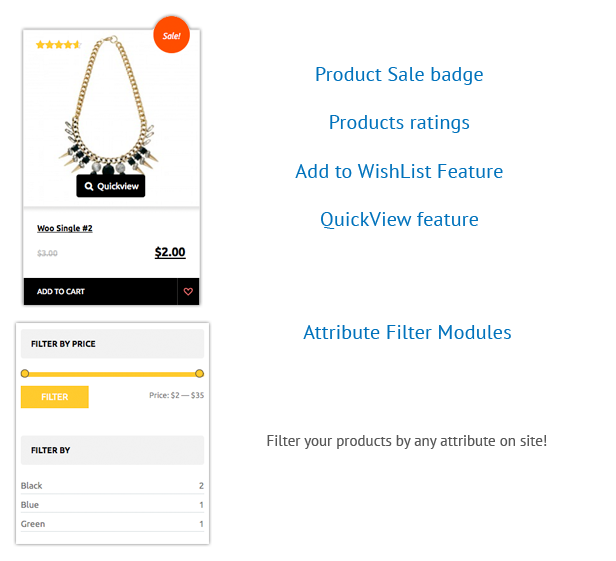 Ajax “Show more” feature for homepage product grids - Special/Sale and New products. Can be turned off to show product grids. 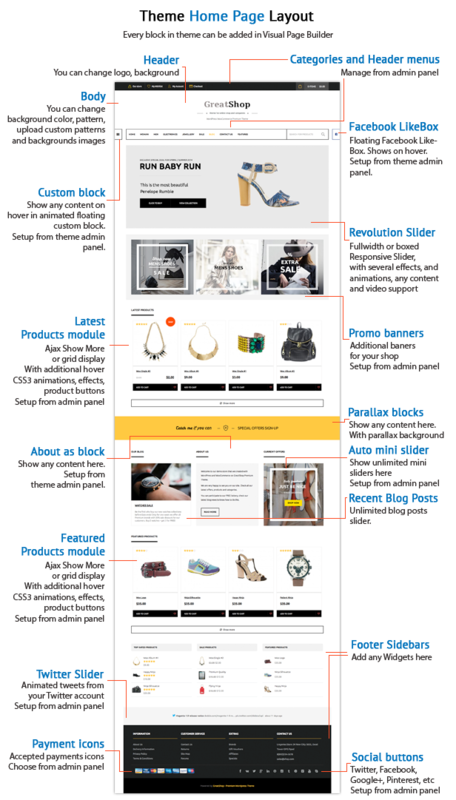 Theme compatible with WordPress 3.5 – 4.x and WooCommerce 2.x. 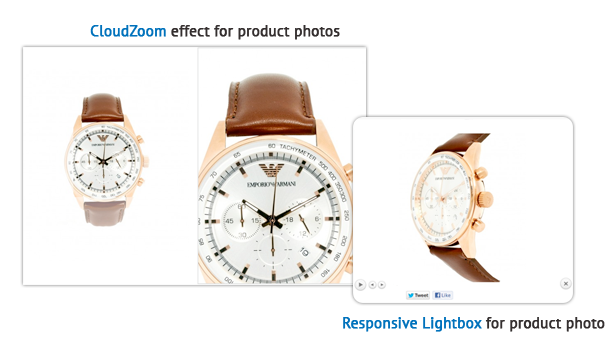 And we make sure it will work with any future WordPress/WooCommerce releases.